1. Logi in as Admin, click Settings (on extreme right). 3. On Time and Expense Settings page, click People. 4. Under Mange People, select Person Type (Employees, Contractors, Resources and Approvers) and Person Status (Active/Inactive). 5. Click Add Skills, Add Approver and Add Person (as per the project needs). 6. 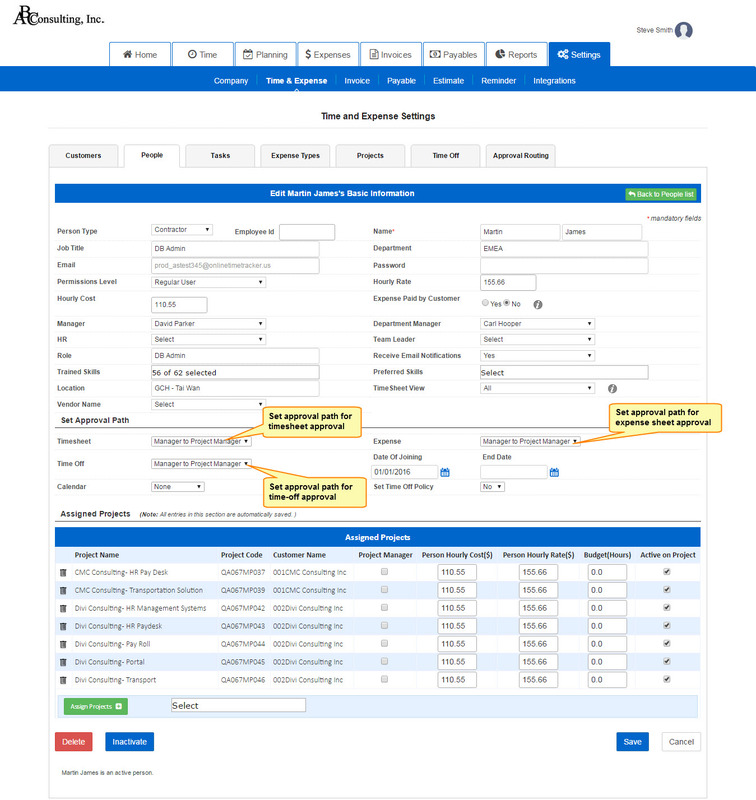 Under selected Person Type list, click Action against the name of individuals (define their permission level, job title, department and hourly rate) to manage their profiles, approval path, time-off and assigned projects. 7. Click Save, once changes made. 8. Click Delete or Inactivate to delete or inactivate an individual’s profile.